Smoke from forest fires and land clearance has choked Central Kalimantan for three months, causing serious health, transport and economic problems. West Kalimantan and Riau have also been badly affected. The problems have been worst in Central Kalimantan, which has been hit even harder than in 1997. Palangkaraya has suffered from thick smog continuously since mid-August. By October there were 400 to 500 hot spots (clusters of fires) around the provincial capital. Communities who depend upon coastal resources for their livelihoods are being pushed aside - sometimes by violent means - as entrepreneurs rush to maximise profits from the seas. The government's plan to expand oil palm plantations could founder because it fails to address the underlying question of community rights to farmland and forests. Oil palm remains a central plank of Indonesia's economic recovery strategy despite growing social unrest arising from disputes over plantation land. Indonesia has permitted the planting of genetically modified crops without public consultation and without adequate legal protection for farmers, consumers and the environment. On March 15th, forty tons of genetically modified (GM) cotton seeds arrived from South Africa at Hasanuddin airport in Makassar, South Sulawesi. The seeds were trucked away under armed guard, to be sold to farmers in seven districts in the province. They were imported by PT Monagro Kimia the Indonesian subsidiary of US-based agro-chemical giant, Monsanto. The May 1st deadline for passing laws on ‘special autonomy’ for Aceh and West Papua is being postponed. Home affairs minister Surjadi Sudirdja, who announced the decision in late April, did not set a new deadline for passing the laws. 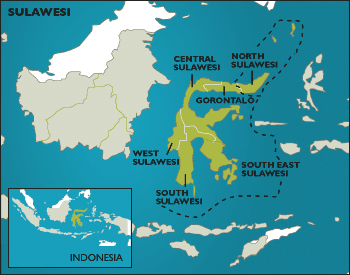 According to the Indonesian Observer, the two separate bills propose that Aceh and West Papua be given 80% of revenues from natural resources.